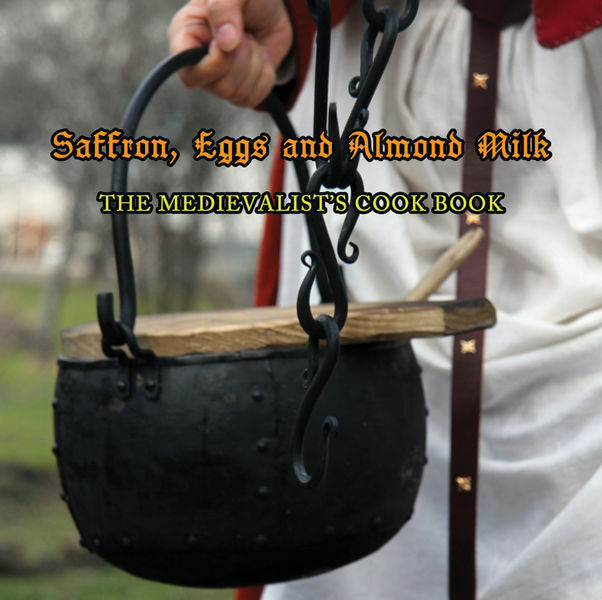 Take Ginger, Galingale, Cloves & grind in a mortar; then take a handful of Sage & put thereto, grind well together; take Eggs & seethe them hard, take the yolks, grind them with Sage & with the spices & mix it up with Vinegar or wine vinegar or with Ale vinegar, take the white of the Egg & seethe them & mince them small & cast thereto; when it is mixed, take Flesh of hens or Fishes & lay on dishes & cast thine meat above. Enough chicken for four people made as you wish. For example 4 roasted chicken legs. 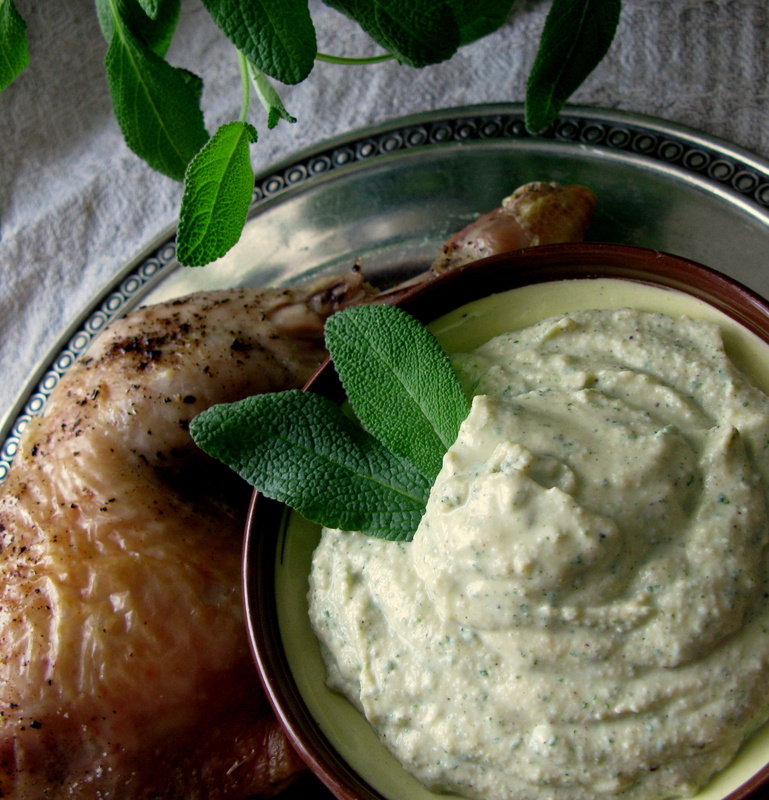 Chop sage leaves finely and mix together well all ingredients. Add salt if needed. Serve cold with the chicken. That’s very easy ;) . Comments: I made simple roasted chicken legs in oven and used only salt and black pepper to season the legs. I have seen this sauce recipe many times and I have wanted to try it a long time. I don’t remember that I have tasted this sauce before. 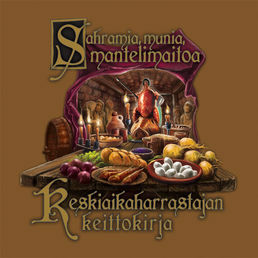 This is maybe one of the best medieval sauce recipe I have seen and tasted this far!! I am sure that I will do it again someday. It will be good sauce for example white fish and pork.